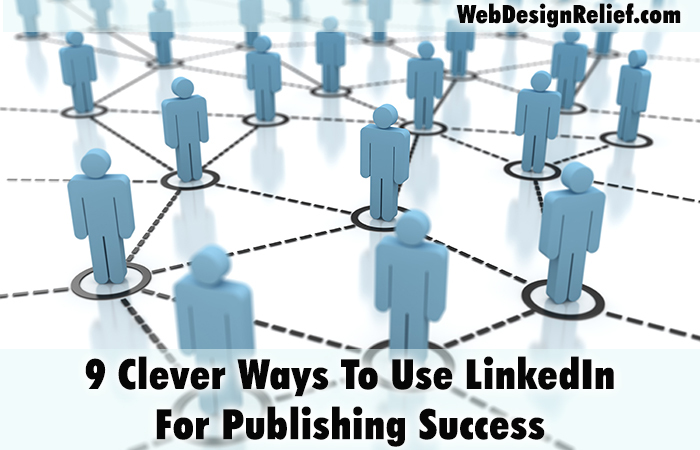 When an author sets out to build a reputation for quality writing and establish a fan base, LinkedIn is not usually the first social networking site that comes to mind. But with the right application of smarts and professionalism, LinkedIn might quickly become your favorite way to network with other writers, share your creative writing career milestones, and—yes—make new fans. Let’s look at a quick side-by-side to find out how LinkedIn is different. LinkedIn: Posts tend to focus on professional life updates. Other social networks: Posts focus on fun topics and personal life updates. LinkedIn: Doesn’t necessarily require daily updates for it to “work”—though you can post regularly if you want to. Other social networks: Require regular posting to stay active and fresh. LinkedIn: Lets you network with others specifically for mutual, professional advantages. Other social networks: Let you befriend anyone for any reason at all. Fill out your entire profile with all your accomplishments. Don’t skimp on the details. List all college degrees, workshops, publications, and writing conferences. If you think the information is relevant in your pursuit of a writing career, mention it. Include a profile picture and a customized background to personalize your page. You can also customize your LinkedIn profile URL to make it easier to find during searches. Ask your colleagues to endorse your skills. Asking others for quotes about your writing and work ethic can lend legitimacy to your claims of being a prolific writer. Feeling shy? Here are some tips for asking for LinkedIn endorsements. Post updates. You can use profile status updates to promote and market key accomplishments on your journey to publishing success. Post news of publications, completed projects, and new undertakings. Post links leading readers to online publications and to your book’s retail pages. Direct readers to your author website (and your mailing list). Post LinkedIn Pulse articles. The subject of LinkedIn Pulse articles should be relevant to topics of conversation in your industry. Show off your professionalism and thoughtful nature with great, short articles. Share photos. You can share pictures of literary journals, the books you’re reading now, the school where you’re taking classes, etc. to add attention-grabbing elements to your posts. Learn more about how to post great pictures on social media. Join LinkedIn groups that feature topics on writing, editing, and publishing. Read and learn from industry leaders and make meaningful potential connections. Here’s how to find and join new groups. Allow others to be able to view your profile. Unless you allow the public to view your profile, its effectiveness will be limited. Visit your Settings & Privacy by clicking on your profile icon on the top navigation bar next to Notifications. Navigate to Privacy and change who can view your profile. Find out who has viewed your LinkedIn profile. This tool, which is in the main navigation of the Profile dropdown, helps you identify other LinkedIn users who have visited your page (so that you can possibly reach out to them). You’ll need to make sure you’ve completed the previous step before this step works. Cross-promote. Include links to your LinkedIn profile on your promotional materials, other social media profiles, and business cards. Even if you don’t find yourself regularly using LinkedIn, establishing your presence on the site will still benefit you as a writer. Claim your URL, post a bit of information that directs readers to the websites where you are most active, and ensure that this essential piece of your author platform belongs to you—and not someone else who happens to have the same name. Question: Have you used LinkedIn and how has it helped with getting you published?